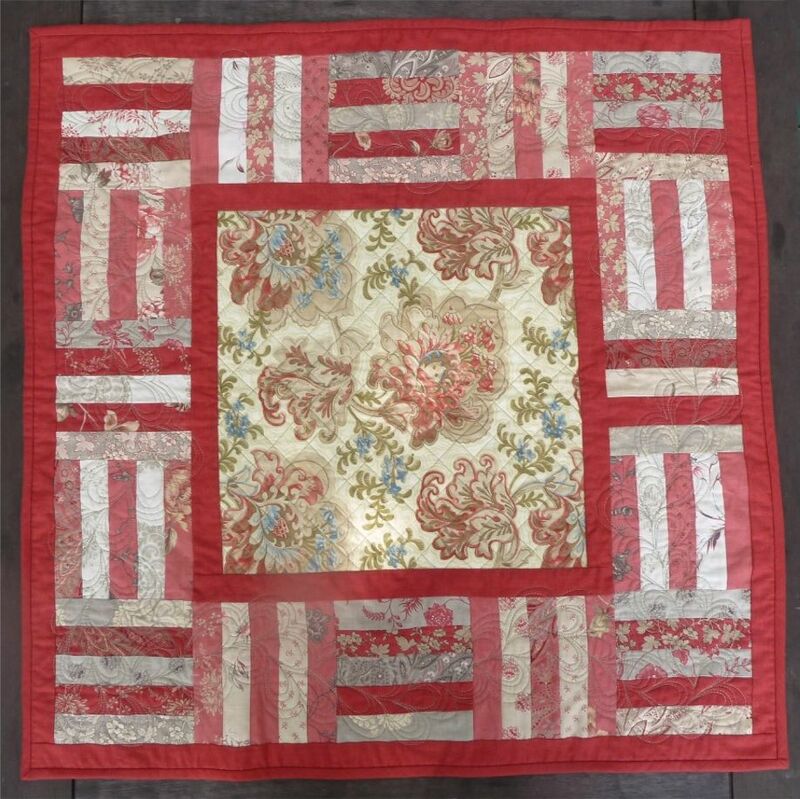 The quilting is based on Angela's fabulous paisley pattern but rather than using it as a fill I let the petals meandered back and forth for a free-form feather effect. I really like the way it uses the space without being too dense. 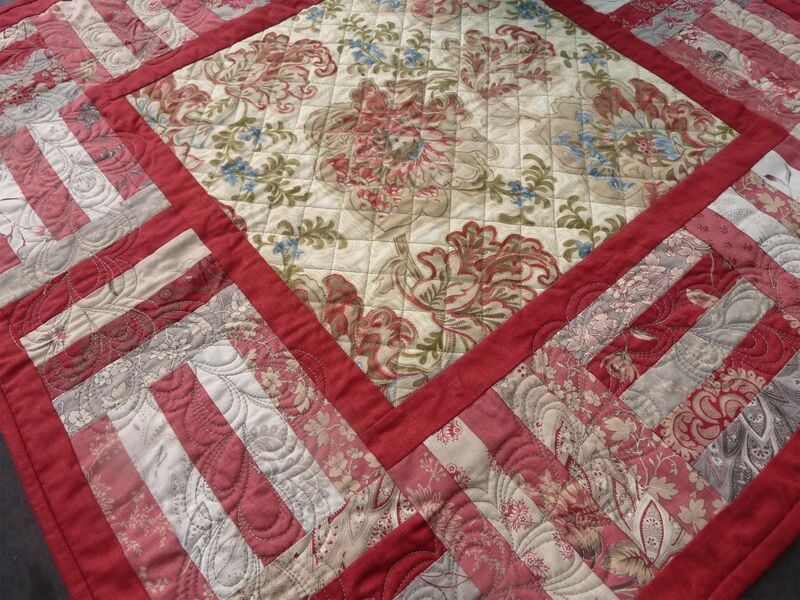 Finished quilt is 29" x 29". Fabrics: Rouenneries by French General, Wiscasset by Minick & Simpson. So pretty! 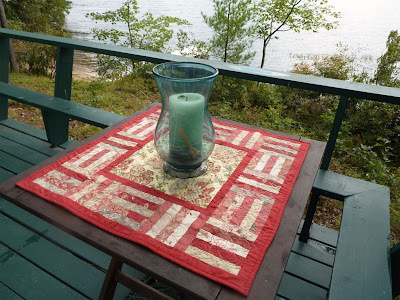 I love the quilting and the "action photo." 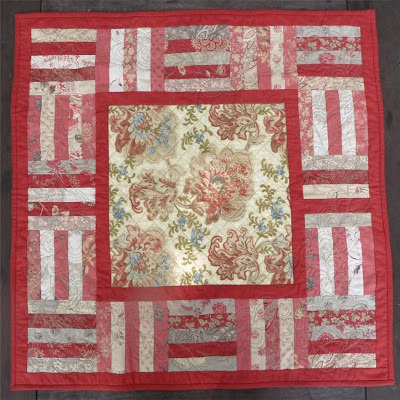 I love the colors, the pattern, the quilting - what else is there? Love your table topper. Nice quilting work!